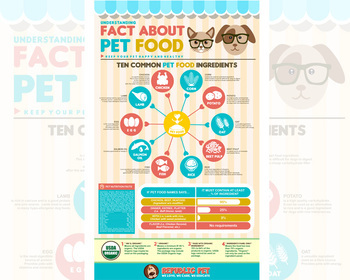 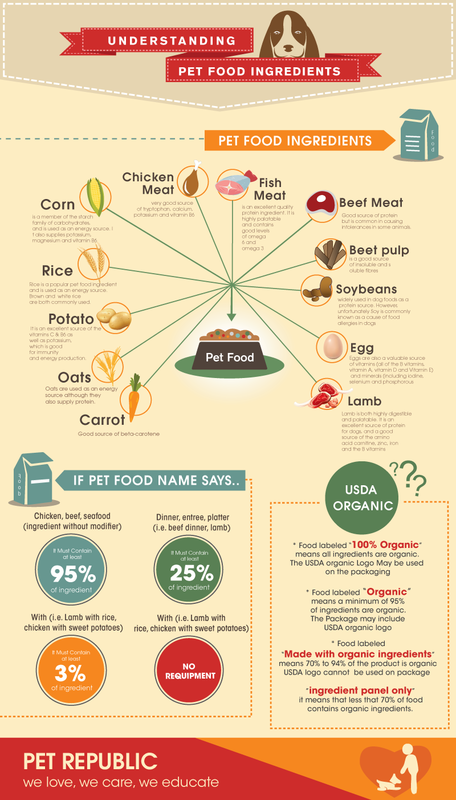 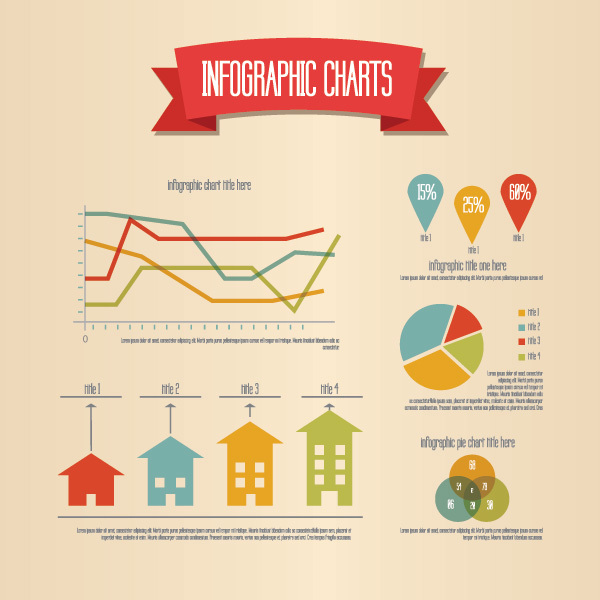 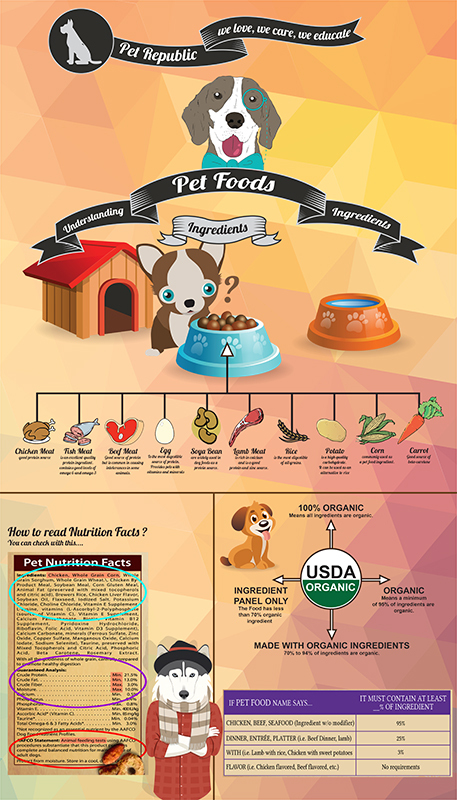 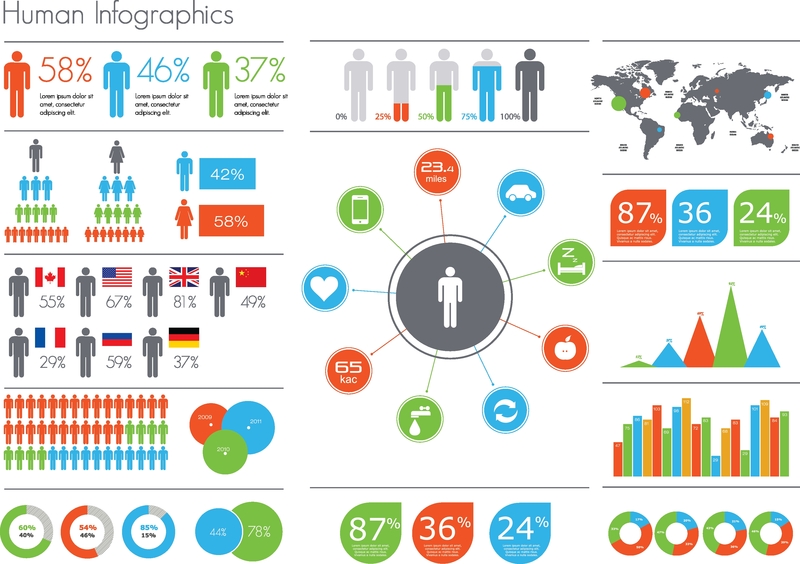 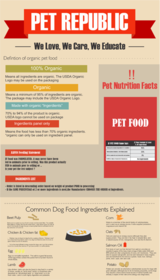 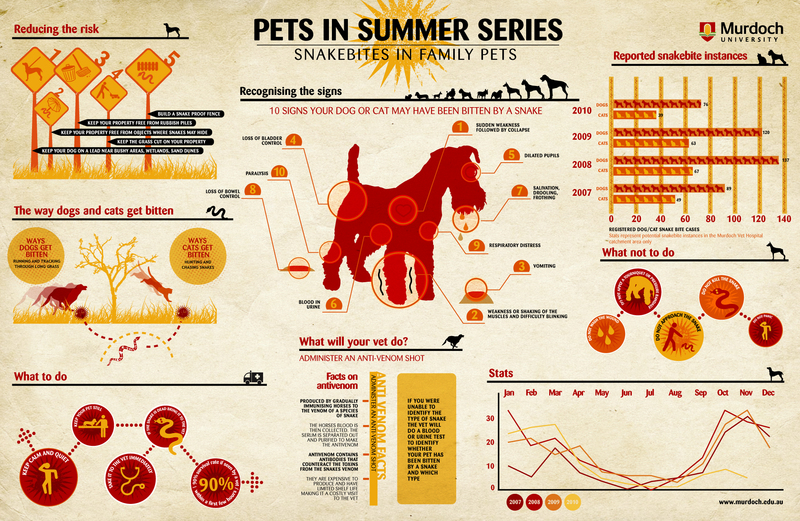 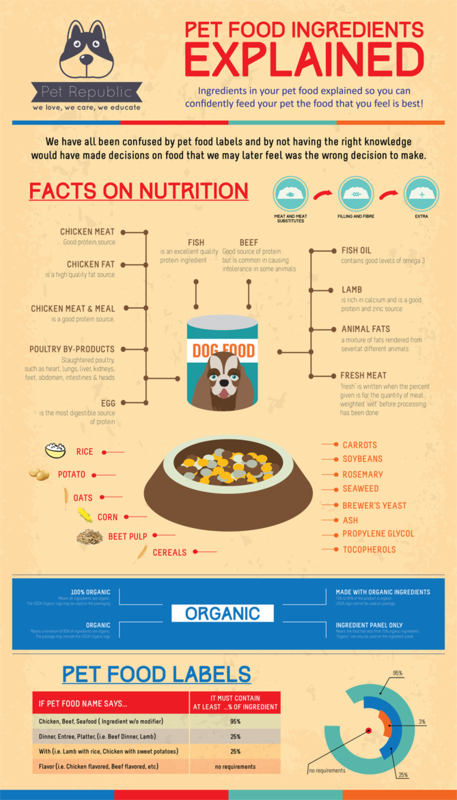 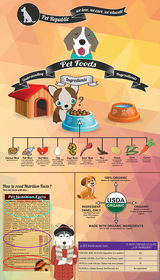 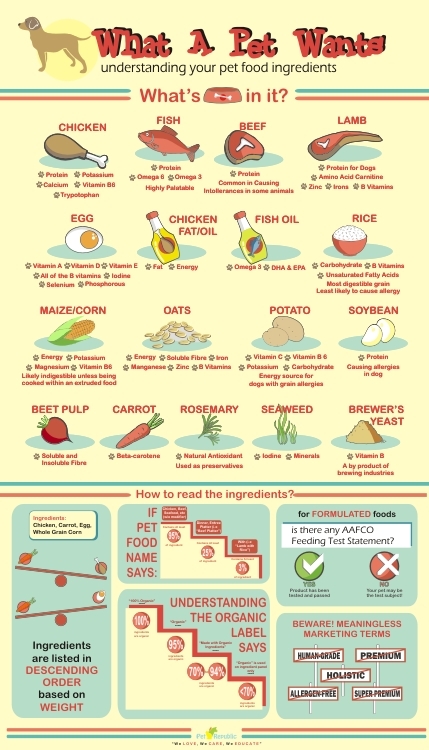 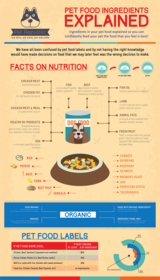 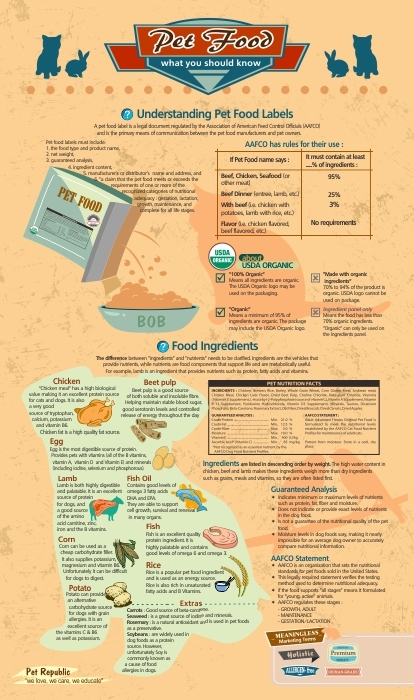 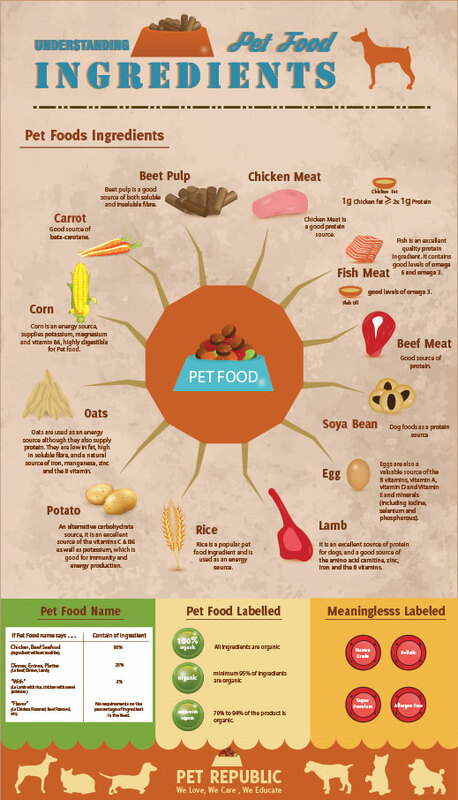 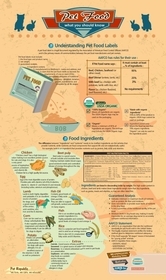 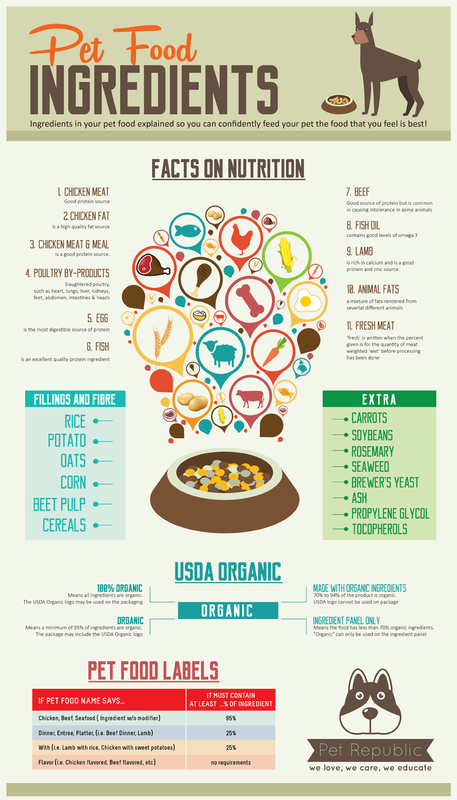 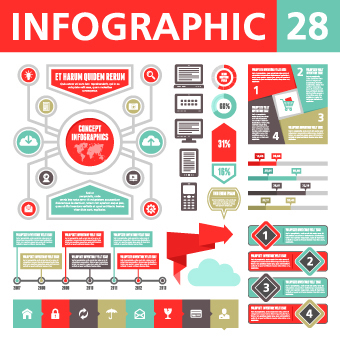 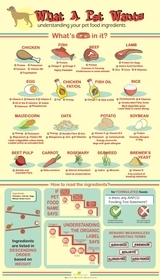 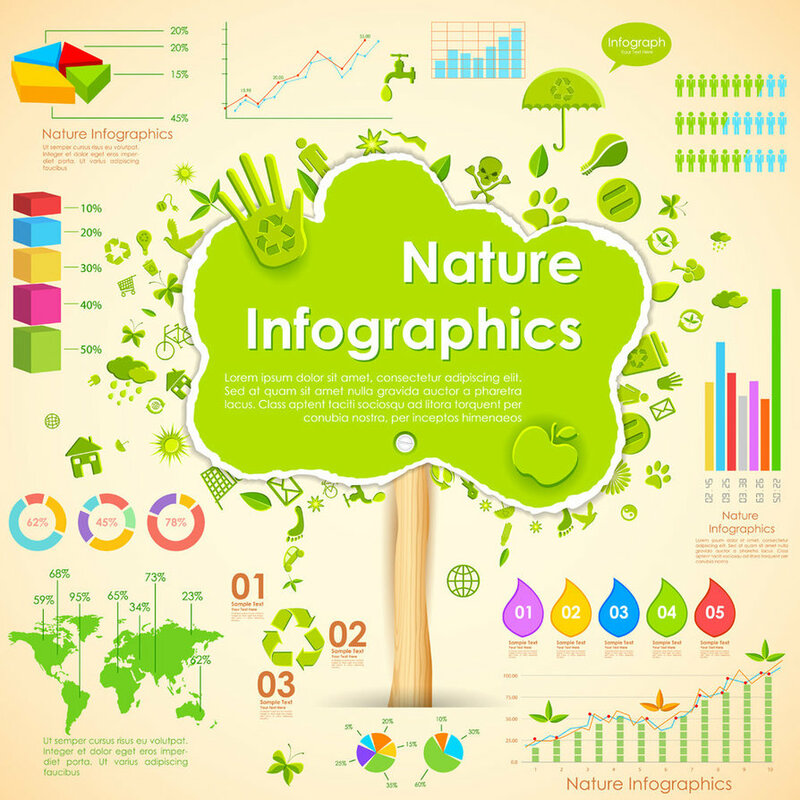 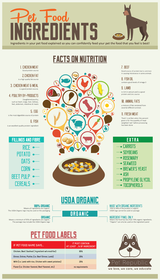 We need infographic poster that shares information and facts about pet food. 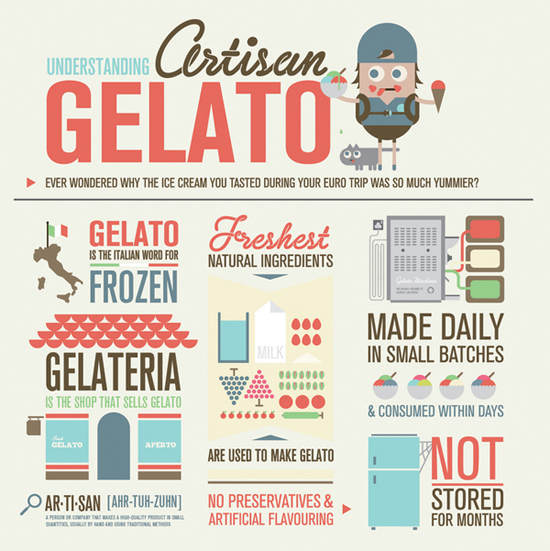 - What does it contain of? 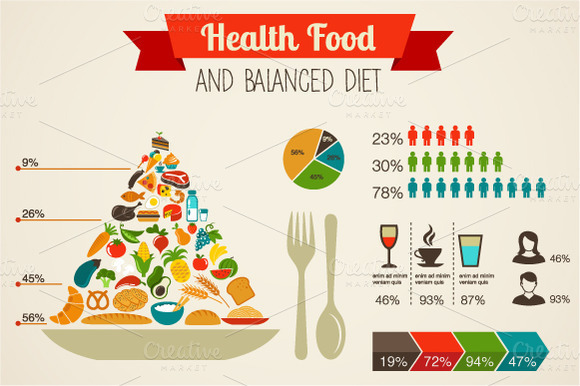 - How to read nutrition facts? 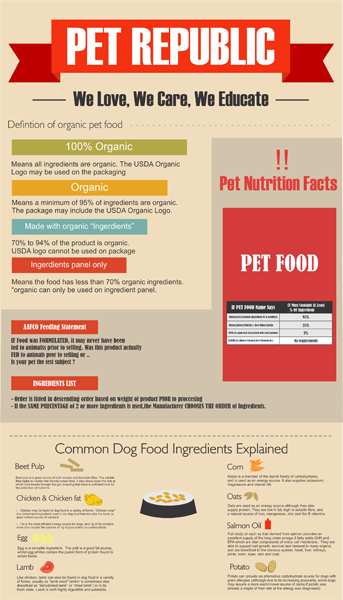 - Definition of organic / made with organic ingredients / ingredient panel only / 100% organic? 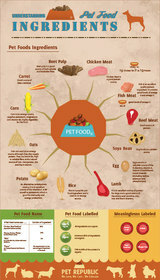 - Explained pet food ingredients? 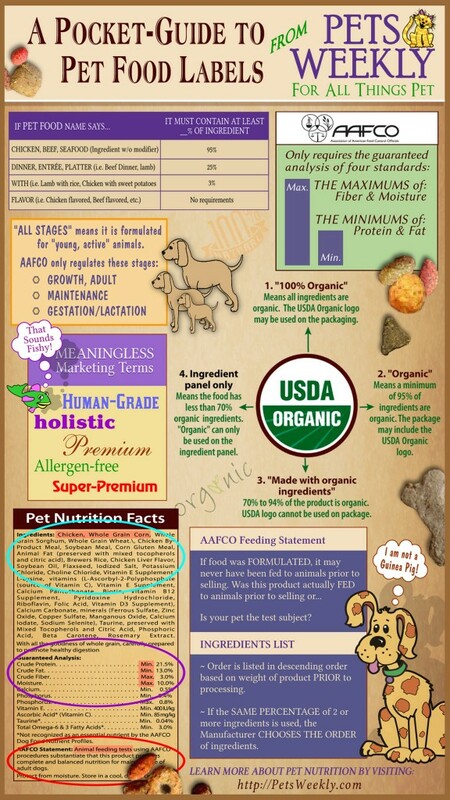 chicken meat, chicken fat, lamb, fish, egg, soy, corn, etc..
- If pet food name says... it must contain at least ... % of ingredient? 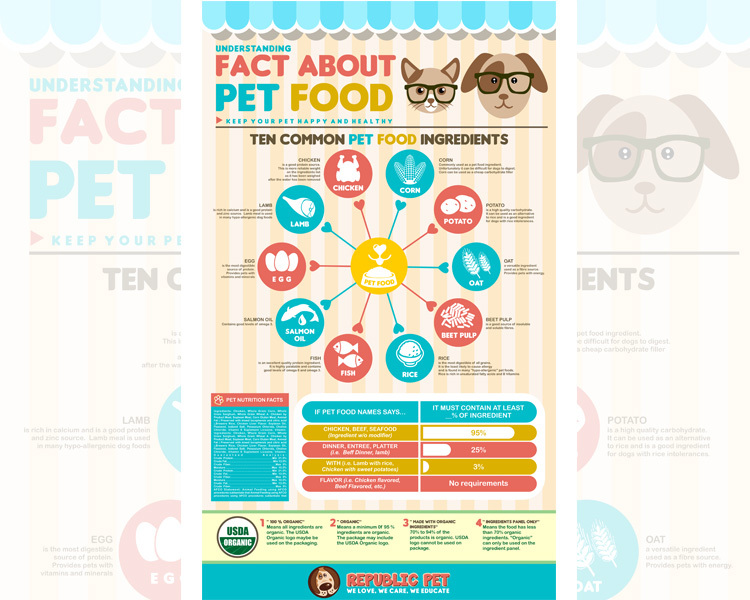 Pet Republic is a petshop with a tagline "we love, we care, we educate" , and we need this infographic poster for our new shop. 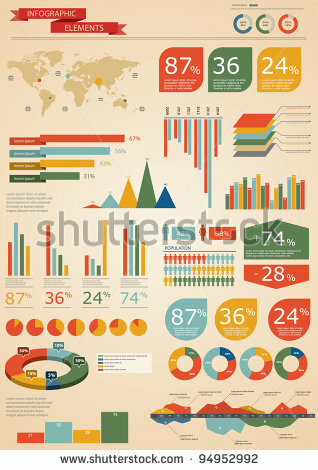 Vintage/pale green, red, orange, white, cream, blue.